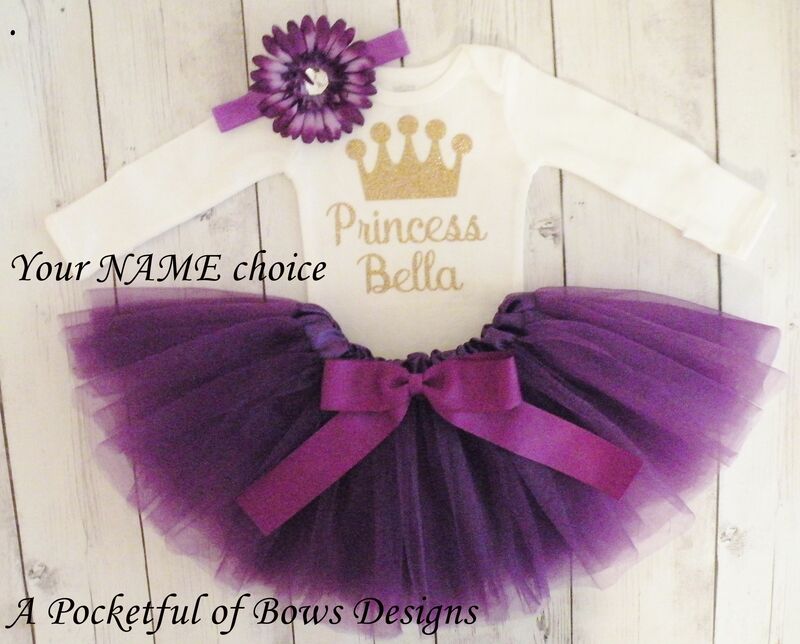 Purple princess tutu outfit with custom Name. 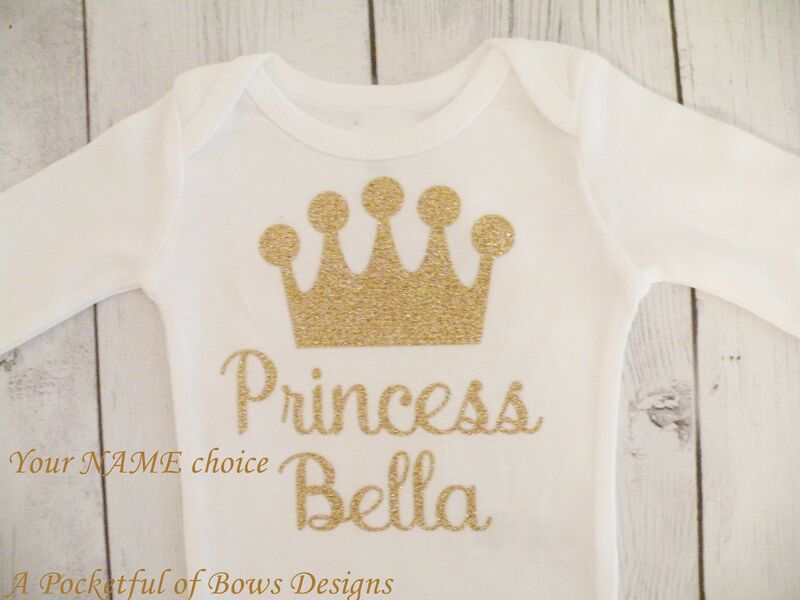 The top comes in long or short sleeves and has you daughters name added. The tulle tutu skirt is purple with an attached bow. Your choice of a flower clip or headband with attached flower. 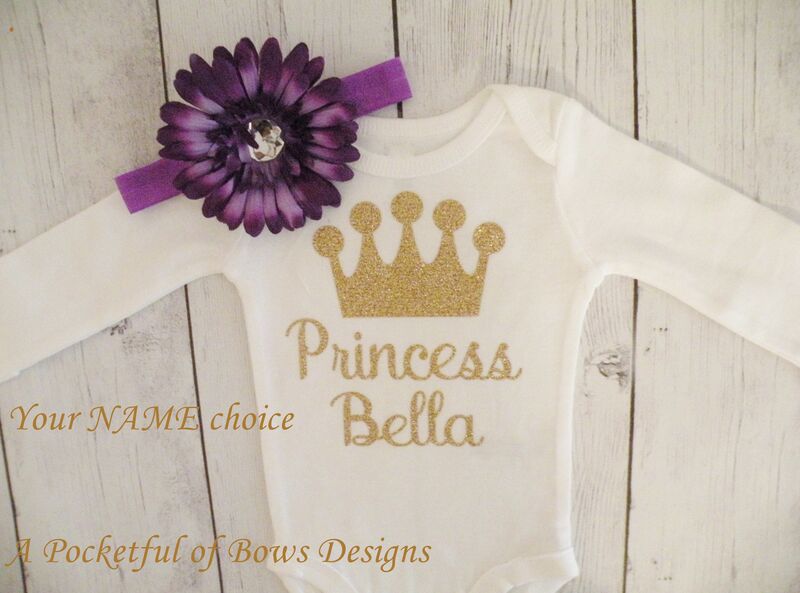 Fun for a birthday outfit or princess party.